Lifesaverstormshelter.com, The official site of Lifesaver Storm Shelters, Tornado Shelters and Safe Rooms. 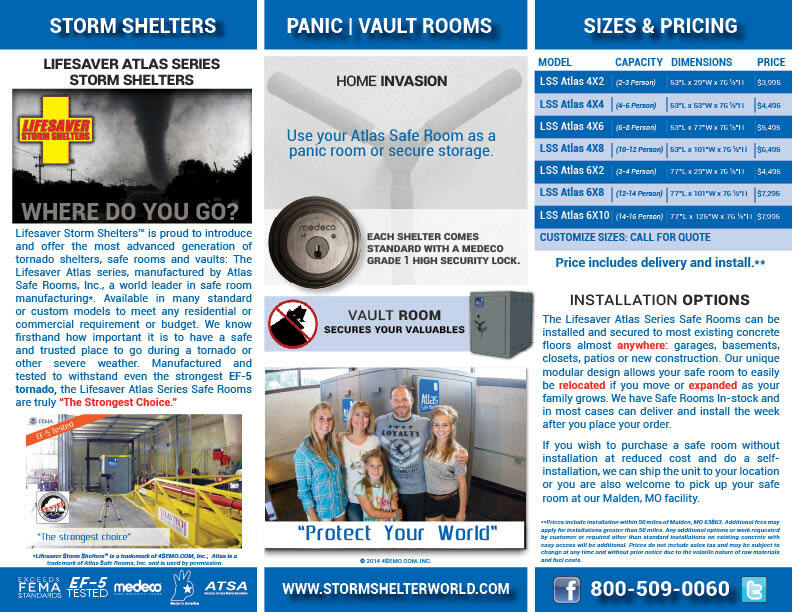 Lifesaver Storm Shelters™ is proud to offer the most advanced generation of comfortable above ground Atlas Series Safe Rooms tornado safe rooms and Refuge series in-ground tornado shelters for our customers that they will actually use if severe weather strikes while meeting any need or budget your family, business or organization may have. * Many concrete or metal shelters go unused by their owners because the interiors are often scary places. This defeats the purpose of having a shelter which you and your family should not hesitate to use during severe weather. We know firsthand how important it is to have a safe and trusted place to go during a tornado or other severe weather. 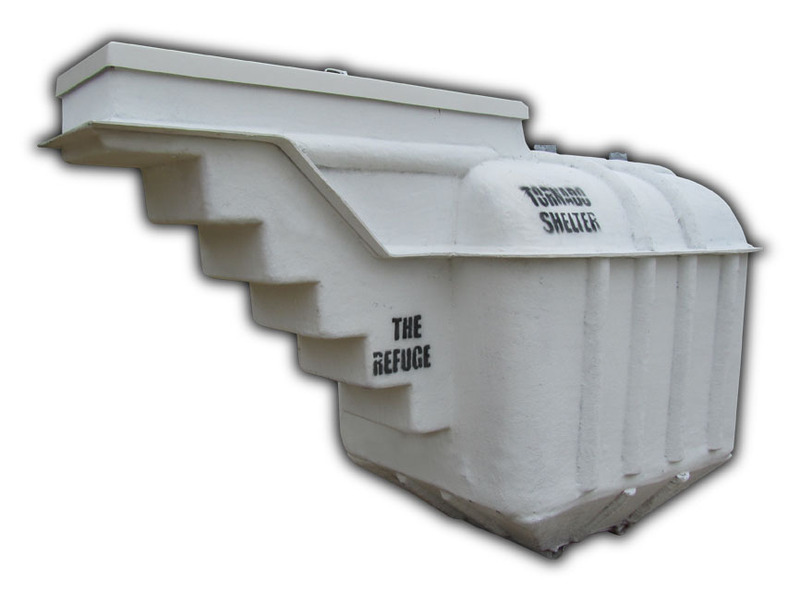 The Lifesaver Refuge series in-ground storm shelters manufactured by Fiberglass Creations, Inc. are made of fiberglass, stainless steel hardware that won’t rot, leak, or conduct electricity. Standard features include screened vents and door seals to keep out unwanted pests, non-skid steps, handrails, carpeting, molded bench seating and a glossy white gel-coat finish (similar to modern bathtub linings) for your comfort and safety. Easy to open multi-point door locking system with gas strut(s) provides an easily accessible in-ground shelter for people of all ages. Other in-ground storm shelters are made of wood, concrete or metal, all of which, over time, will crack, leak, rot and rust allowing water, insects, rodents and snakes to enter the shelter as well as providing an environment for mold or mildew to thrive. The Refuge in-ground tornado shelter eliminates all of these issues with its most sophisticated design available in the market today. 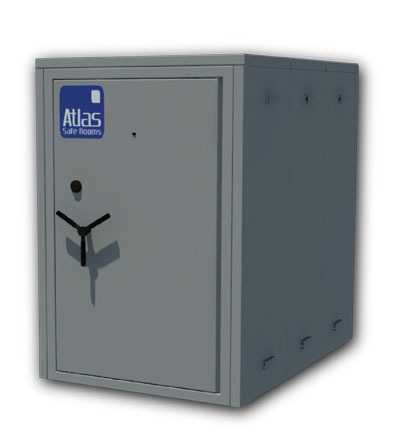 Lifesaver Atlas Series Safe Rooms are professionally engineered and manufactured with steel nearly 50% thicker than most other storm shelters on the market to be the highest quality safe rooms and have been tested to withstand even the strongest EF-5 tornado. All prices include delivery and installation within 50 miles of Malden, MO. Additional fees may be required for any additional work such as fence removal, utilities relocation, etc. or installations in rock or other than level grade with normal soil conditions. Prices subject to change without notice. Missouri residents add 6.975% sales tax. Lifesaver Storm Shelters can be installed in a single day, in most cases, without large machinery, meaning there is minimal damage to your lawn or property. As an optional feature, phone, cable/satellite TV or electrical wiring can be added to your installation for your comfort and peace of mind. 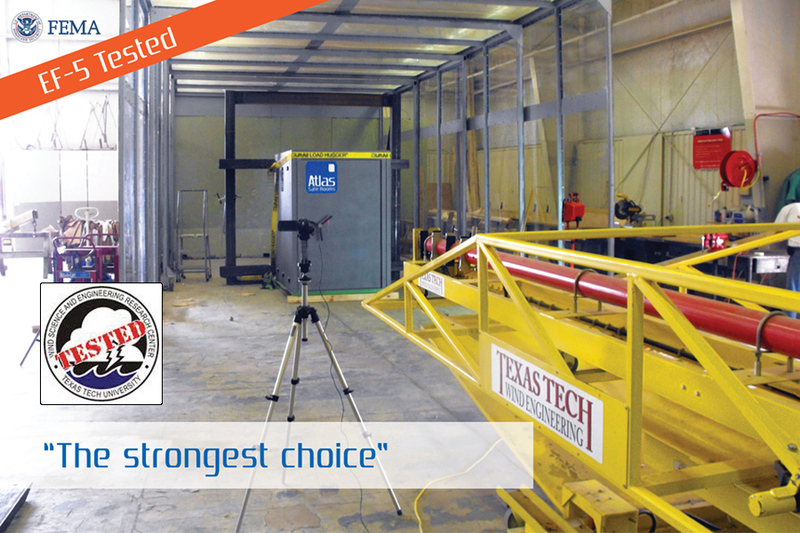 We encourage you to question our competitors’ construction, features, and price and compare it with ours. We are sure you will find the perfect storm shelter to fit your needs and will appreciate the distinct advantage of becoming an owner of a Lifesaver Storm Shelter. 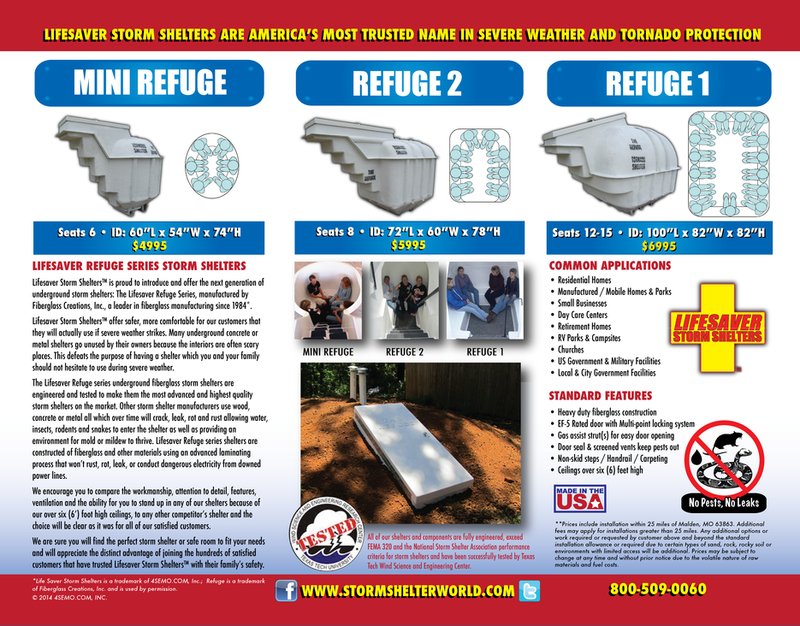 *Lifesaver Storm Shelters is a trademark of 4SEMO.COM, Inc.; Refuge is a trademark of Fiberglass Creations, Inc and is used by permission and Atlas is a trademark of Atlas Safe Rooms , Inc. and is used by permission.